Where possible, its a good idea to have your trailer wheels and tyres the same as your tow vehicle. They don’t have to be exactly the same, but having them interchangeable is well and truly worth while. This applies to everything you’d take off the beaten track; camper trailers, boats and caravans. 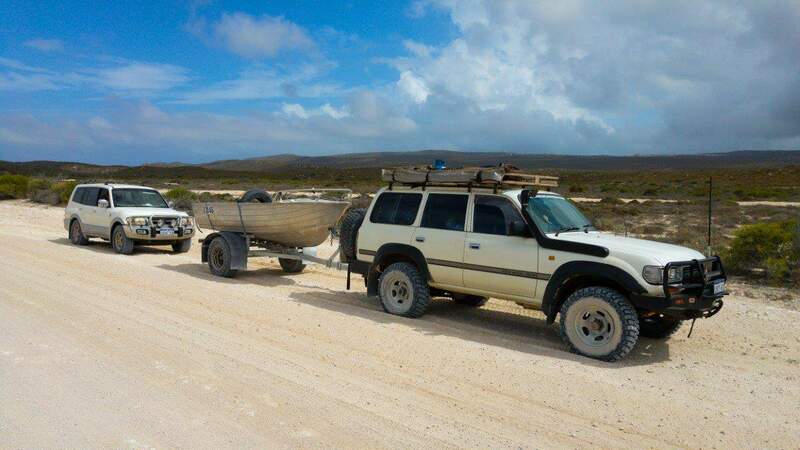 I’ve done this in the past with our 80 Series Land Cruiser and the Off road boat trailer I built, and it’s worked wonders. 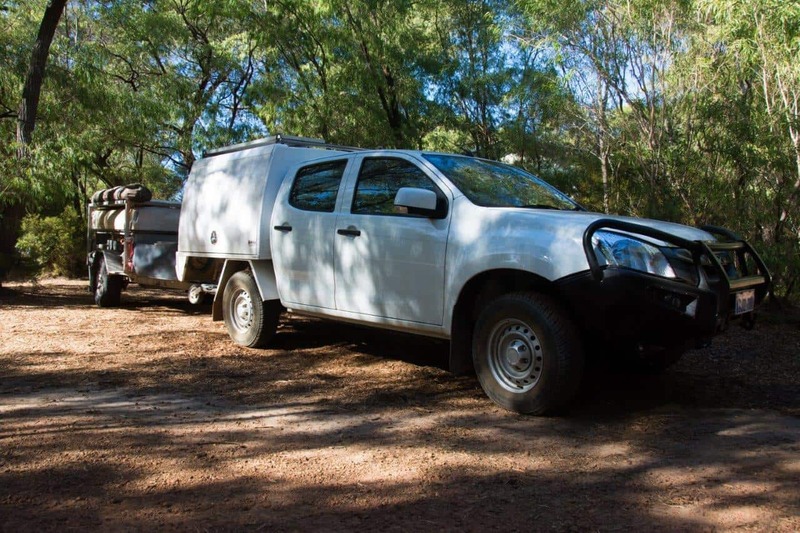 This time, we’ve changed our camper trailer to match the new wheels running on our Isuzu Dmax. Why do you want them interchangeable? By having wheels and tyres that are interchangeable from your tow vehicle to the trailer allows for double use of your spare. Your vehicles spare tyre can be used on the trailer, and vice versa should you need it. 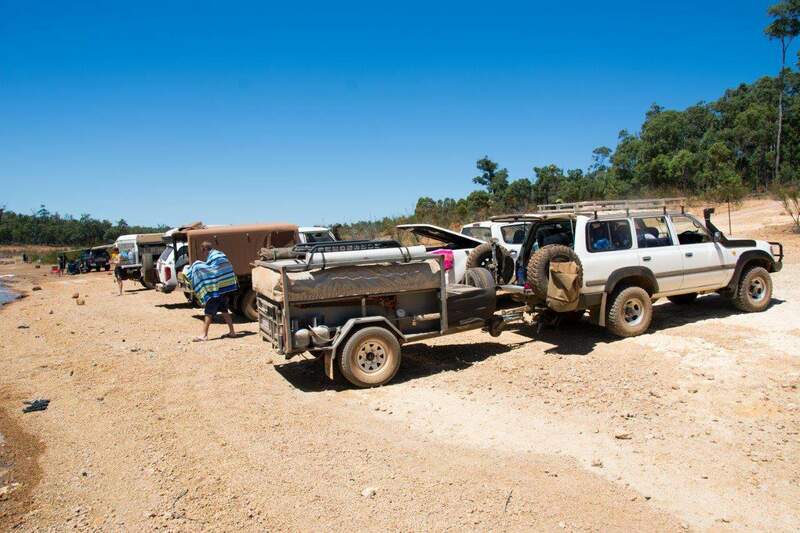 If you are travelling with only one spare for each, it allows you to get 2 punctures on the trailer or tow vehicle before having no spares left. In theory this allows you to take less spare tyres. However, 3 spares for two moving vehicles is often a good idea especially if you are travelling remotely. If you can run the same tyre size between your trailer and tow vehicle, you are able to safely swap tyres as required. The spare tyre for your vehicle can also be a spare for your trailer. Now, you can get away with slightly different size tyres if you really needed to, but if your 4WD runs an LSD having different size tyres on the rear axles is a bad idea. If your tow vehicle is a 5 stud, and your trailer is 6 stud, you can’t swap wheels. However, also know that not all 5 or 6 stud wheels are the same. The centre distance is not always the same. In an ideal world, your wheel track would be similar on your trailer to your tow vehicle. This is the center to center measurement between your tyres. 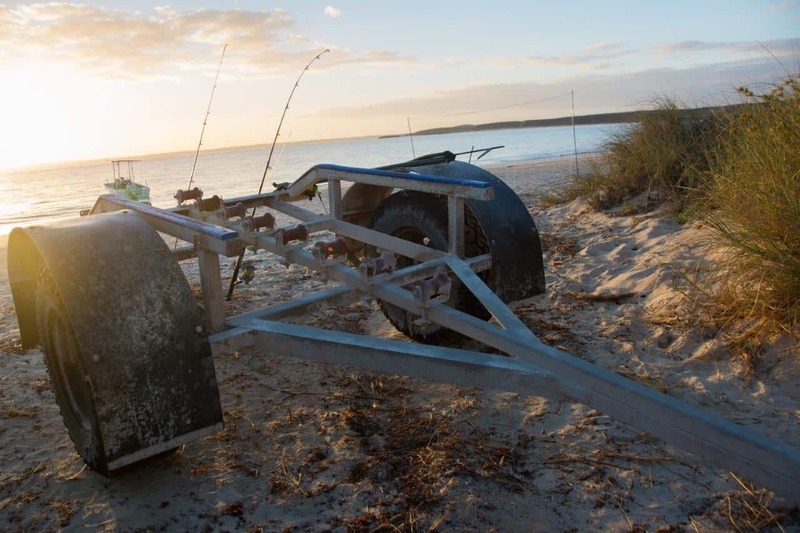 This ensures your trailer sits in the same wheel tracks as your 4WD makes, which makes it easier for beach driving and reduces your chances of getting a puncture in a different line. How do you go about changing tyres, wheels and hubs? Normally you would modify the trailer, and not the tow vehicle. I don’t recommend changing your tow vehicle to suit the trailer! The first thing to do is find out whether your tow vehicle’s tyres will actually fit on the trailer. Often there is not enough clearance to bolt the same size tyres on, and that may be the end of your investigation. If the hubs don’t match, you can easily buy new hubs and bearings from a trailer place (like Martins Trailer Parts) and put them on. 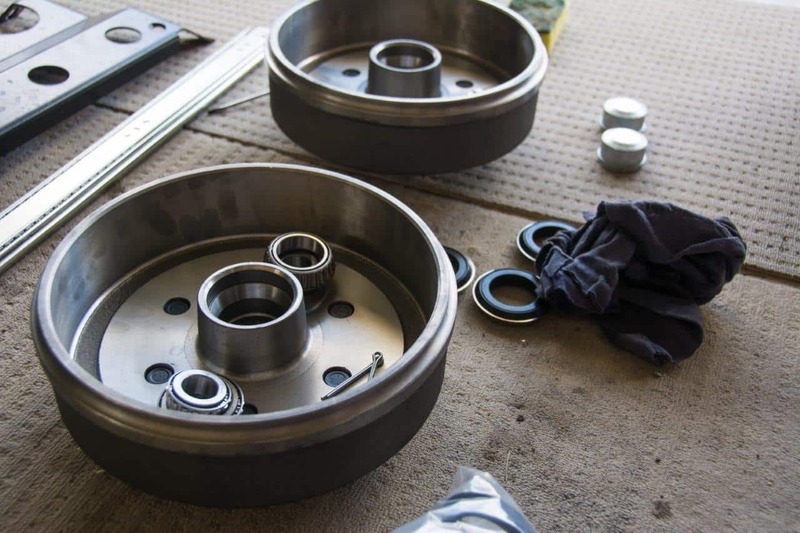 Our boat has normal hubs (about $70 each with bearings) and the camper trailer runs drum brake hubs which were about $100 with bearings. 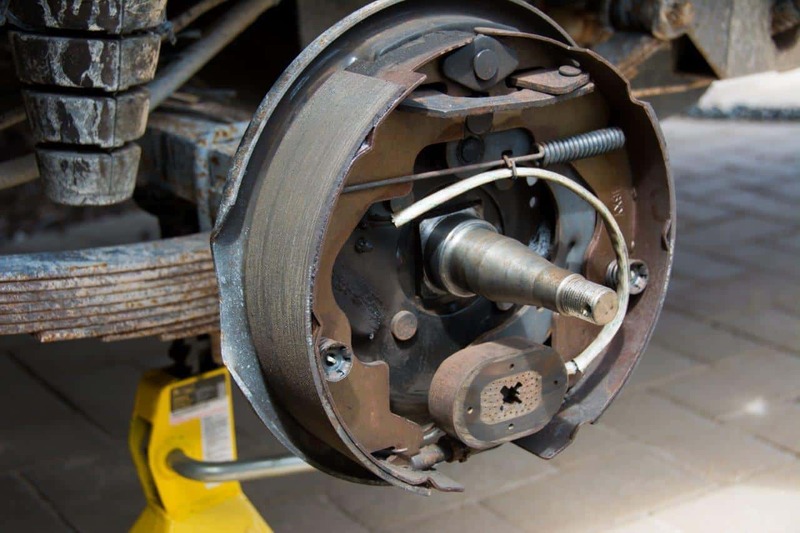 Make sure you check the offsets, and axle widths, to see where your new tyres are going to sit. Axles are cheap, and changing them to suit wheel track or bring your tyres in line with the guards is fairly straight forward. Have a good think about what it is going to do to the angle of your trailer, the length of your tent, and the general towing characteristics. You may not be able to legally run the same size tyres on your trailer. Load ratings are another thing to check – your tyre needs to be able to legally carry the weight you apply to it, so make sure it exceeds the OEM arrangement. What ever you do, take 5 minutes to check your tyres. Look for any signs of perishing and cracks. 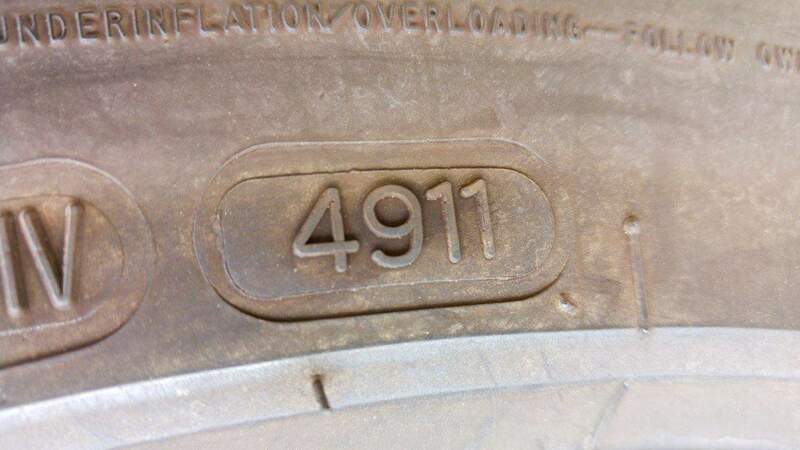 Check the date on your tyres on the 4 letter stamp (find out more here – How to tell how old your tyres are). Our Camper trailer came with some random 17″ tyre size, 5 stud hole pattern and tyres that were not really suitable for hard off road work. I ummed and ahhed about replacing them when I had the cruiser, and I’m glad I did. I’ve since committed Toyo AT2 all terrain tyres, in a 265/75/16 and have fitted them to the factory Isuzu Dmax 16 inch aluminium wheels. 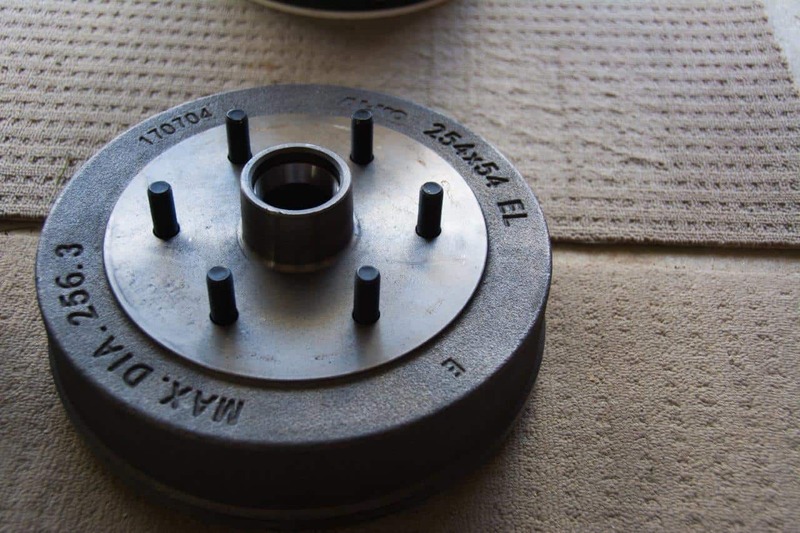 I pulled a hub off one side, and took it to Martins Trailer parts, who set me up with new hubs to suit the Dmax, as well as 4 sets of wheel bearings (2 spares for the camper trailer/boat). For about $300, its a pretty cheap exercise. On went the new hubs and wheel bearings (with proper marine seals), and then the new tyres. They are fairly close to the guards, but should be ok.
What was interesting was finding that whoever did the wheel bearings last time put the inside bearing in first, and then smashed the cone in afterwards. We towed it several thousand kilometres with no issues; always check other people’s work!